Ramme is an free, unofficial Instagram desktop client for GNU/Linux. 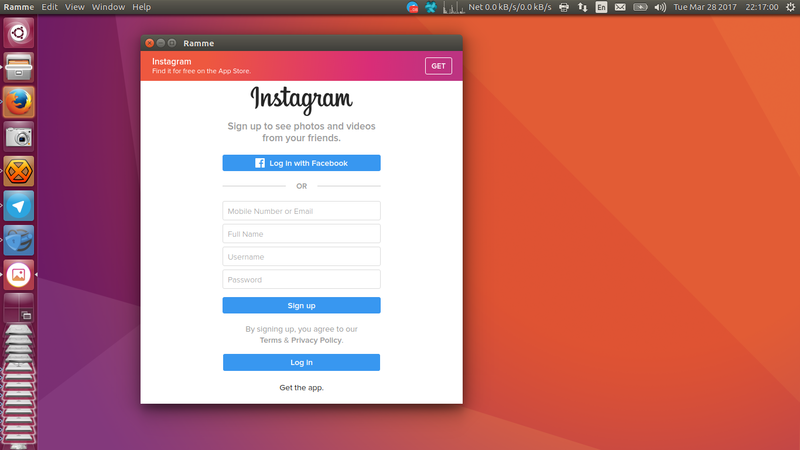 It's available for Ubuntu. For now, Ramme is officially available only for 64-bit (as .deb and .appimage formats). Here is how to download & install it. Note: if you are a programmer, Ramme is now looking for maintainer. Ramme .deb package is available at GitHub https://github.com/terkelg/ramme/releases. Save .deb file on your $HOME folder. Open your Terminal (Ctrl+Alt+T) and run command below. Make sure the file name you type is exactly correct. Tip: just type Ramm and press TAB to autocomplete your typing. 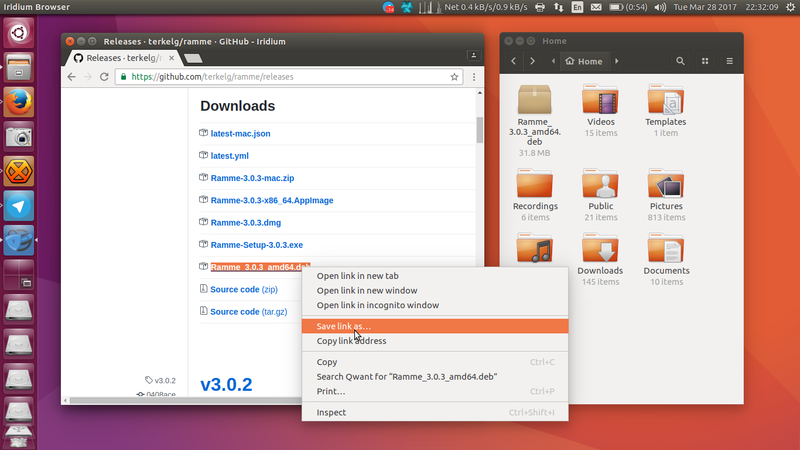 Once installation finished, open your desktop menu and find Ramme icon. Run it and enjoy!